This painting started as a early evening but I think it turned out to be early morning. Sunrise in Santorini. 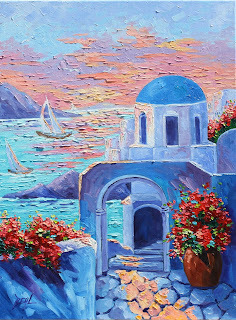 I love to visit Greece with oil paint, really a limited palette with variations of blues and white. 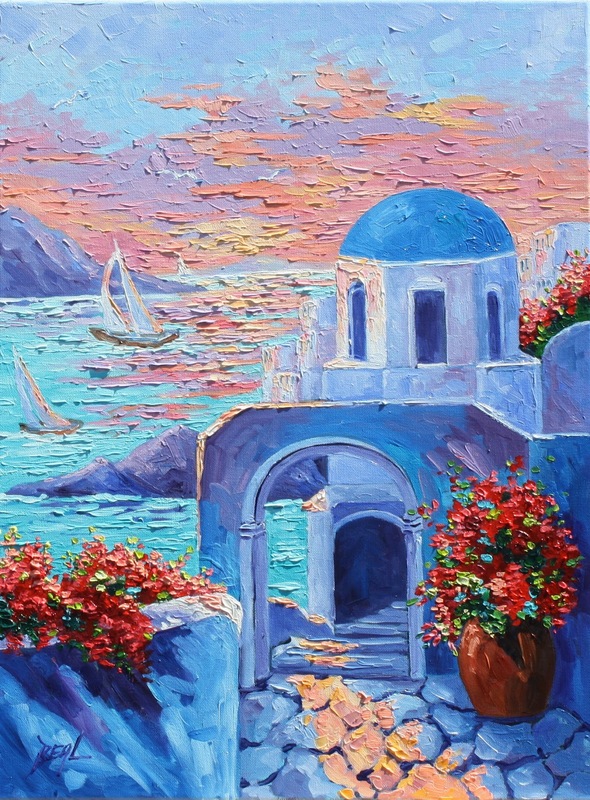 I will always be returning to Santorini, Greece for more studies in oil.